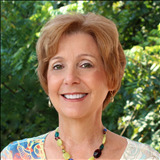 For Real Estate Services in Clarksville TN, Debbie Reynolds can help you buy the right home or sell the home you have. Debbie has the experience and skills to assist you to get you to your real estate goals. It is all about you. I work for you to help you reach your goal. That personal service is the reason that so many of my clients are happy with their real estate transaction after all is said and done.